Mediterranean kitchens are cozy, elegant and classy, with tons of charm and personality, and a unique, unmistakable look. Mediterranean region is home to a diverse lifestyle that combines the best of several different cultures. 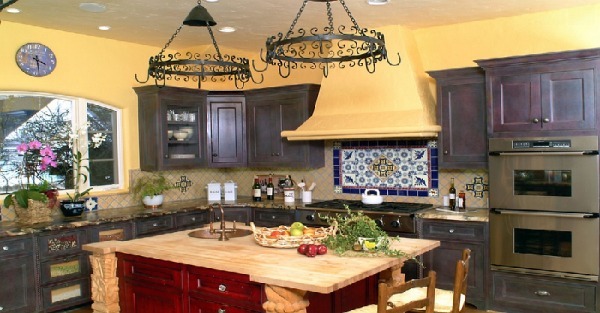 Mediterranean décor characterizes with an abundance of visual richness and inviting warmth. The kitchens are stylish, with an inimitable look and a distinctive ambiance of their own. Do you like their timeless beauty and magic? If so, learn more how to add Mediterranean touches to your kitchen and make it the true heart and soul of the house. 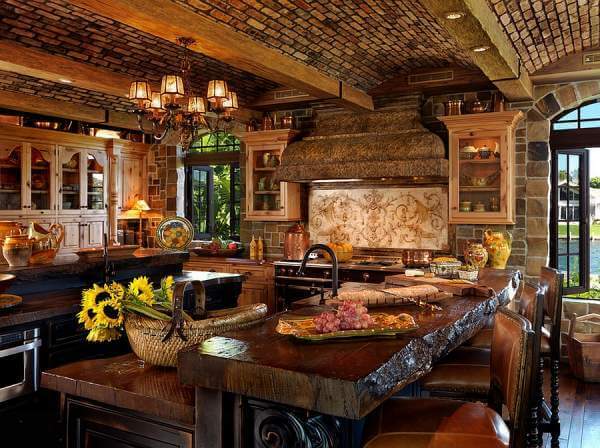 If your kitchen is in a traditional, rustic, or cottage style, making any changes to lend it a Mediterranean look is not that difficult. Start with the backdrop and choose a warm color palette – yellow, mellow cream, or other elegant, appealing sunny shades. Bring in bright pops of orange, red, blue, and green. 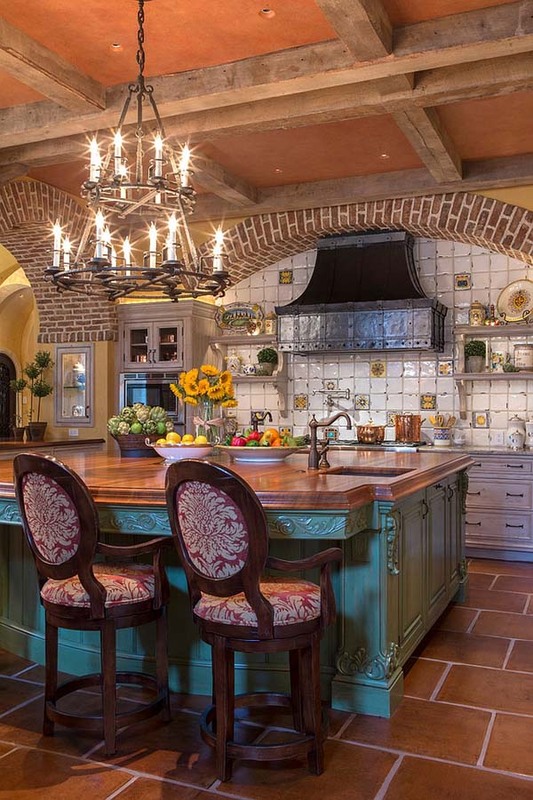 Generally, remember that Mediterranean kitchens welcome a plethora of exciting colors, which makes the kitchen even more appealing for cold winter months. Think of geometric shapes beyond the simple, straight line because curves are an integral part of the Mediterranean kitchen. 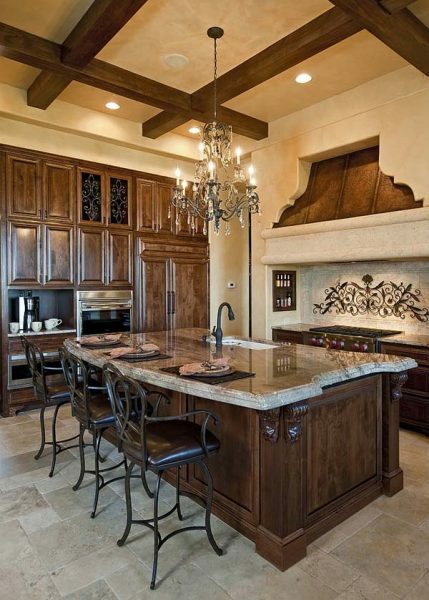 Flared hoods help both bring in these sensuous curves and give the kitchen a timeless appeal. However, you can also use other kitchen elements, such as cabinet handles and faucets to usher in a curvier look. 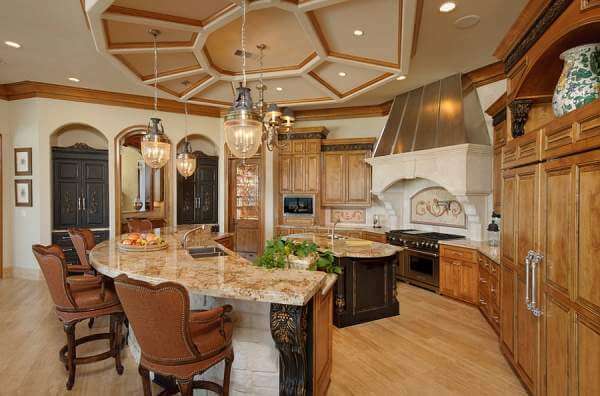 Circular false ceilings or curved kitchen islands are also an option. Furthermore, they can add grandeur with a vintage touch. 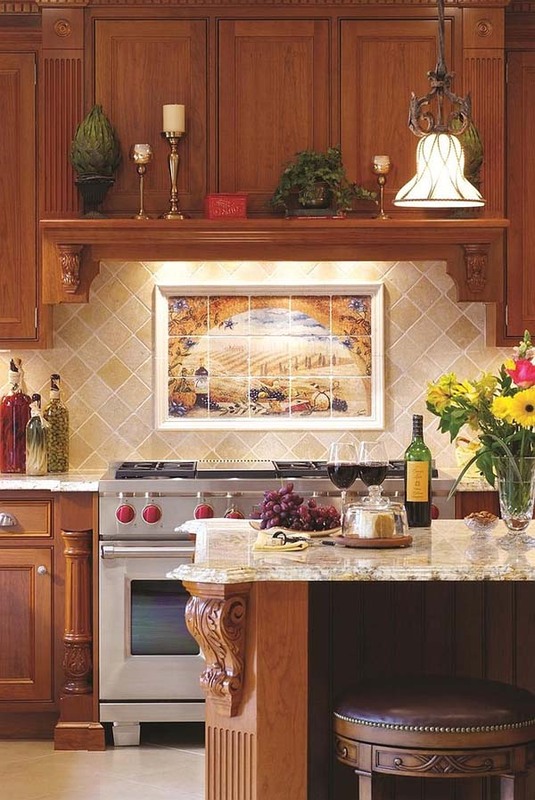 Using tiles in earthy tones for the flooring and hand-painted mosaic tiles for the walls and the backsplash is an affordable way to lend any kitchen an authentic Mediterranean look and create a fabulous focal point. 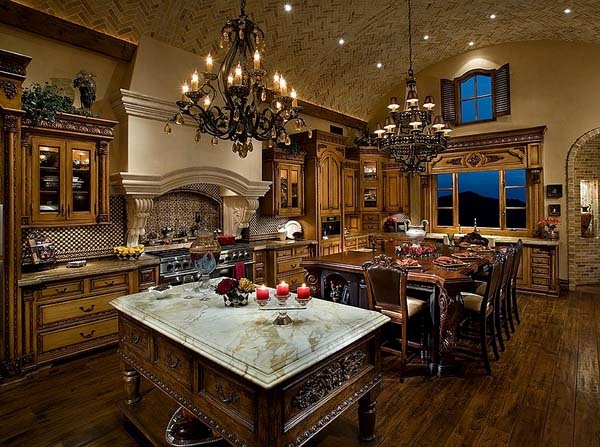 Using wooden cabinets in similar wooden hue enhances the look.